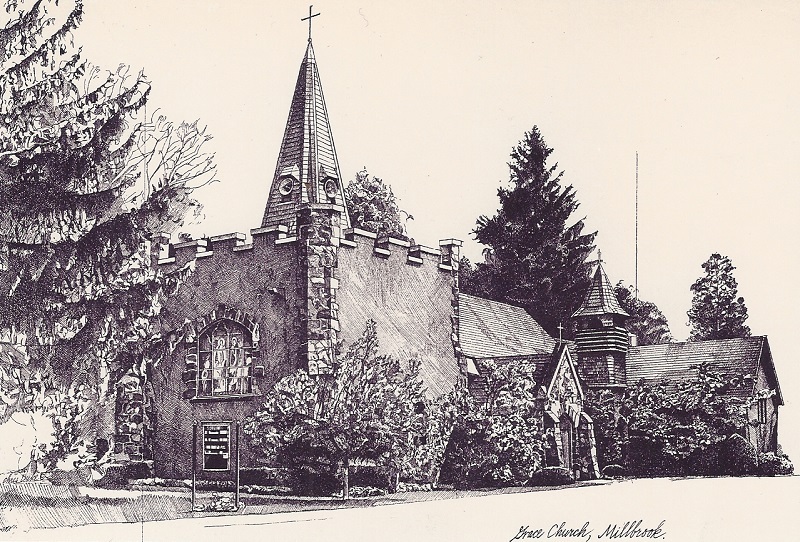 I did many drawings for Grace Church in Millbrook, NY, most often when a priest retired and the church wished to present a piece of art as a farewell gift. This one is owned by the Reverend Pamela Mott. For years this drawing has also been the frontispiece of everything the church prints, from bulletins to church service programs. I used to smile when I saw all my “art” crowding the wastebaskets after weekly services. Humbling, that! In addition, I used this for a series of four notecards depicting scenes of Millbrook, NY.